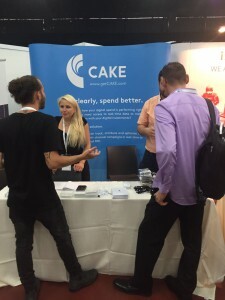 The CAKE team attended Israel Mobile Summit in Tel Aviv last week for a second year in a row. We thoroughly enjoyed networking with other digital marketers and gaining insights into the future of the mobile industry. We hope you find our insights and other industry leader’s predictions as useful as we do, check them out below! 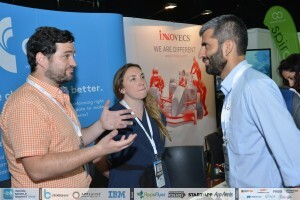 CAKE’s very own Felipe Uribe was at the forefront of an important industry debate as he sat on the panel “Analytics to The Rescue,” which was moderated by Scientific Games Interactive’s, Rami Segal. Here the importance of analytics in mobile campaigns was investigated by Felipe among representatives from AppAnnie, AppsFlyer, MobileCashout and HPE, the full list of panellists can be found here. One question Felipe received from the audience was if the App Economy is over? The App Economy is defined as all of the economic activity surrounding mobile applications. Mobile apps created new fortunes for entrepreneurs and changed the way business is done. The App Economy is far from being over. There are several upcoming changes to the way apps work and that will make it a very interesting market. Additionally, the number of downloads are starting to curve in the developed markets, however there’s still great room for growth in the developing markets such as India and Brazil. While the exponential growth of apps sprouting up overnight is a thing of the past, the App Economy itself has proven to be an incredibly viable and sustainable market. The panellists also touched on the importance of utilizing analytics to make predictions and how acting on data in real-time can greatly improve results. Felipe expanded on this subject by using an example of how CAKE’s software can identify fraudulent activity and establish trends indicating the presence of fraud. As always analytics provides vital information when assessing the quality of clicks. CAKE has an integration with Forensiq a leading fraud detection software which analyses, in real-time, the quality of clicks and predicts if they are fraudulent. By implementing this service, clicks can proactively be redirected to an alternate landing page from the original campaign thus preventing the fraudulent activity from affecting your data. Overall, the event provided great insights into the upcoming trends within the mobile industry and was the perfect opportunity to meet with our existing, and growing number of Israeli based clients. See you next year Tel Aviv!